Devised by writer Paul Andrews who produced, directed and consulted on many game shows, magic shows and numerous other weird and wonderful projects. With magic elements courtesy of Marc Paul, a mind Reader and master magician alongside puzzles masterminded by David J Bodycombe, whose credits include TV’s The Crystal Maze, We attended The Book of Secrets - situated under a railway arch a short walk from Mile End station - with a high bar of expectation. We arrived around 20 minutes early and were greeted by Cathy, who explained she was still setting up the room, so we waited around outside until the room was ready. As it was a particularly nice day this wasn’t much of a problem but unusual given that most venues ask you to arrive 15 minutes before your game-time. Cathy directed us to the sofa in the small waiting area where she explained the rules before giving us a brief insight to the back-story. We were given the option to play the room at 3 different levels; The Fun Level being the easiest of the trio, The Ultimate Level which offered mid assistance and Extreme where players are given a buzzer for hints that would only return a yes/no response. As we are well into double figures of completed escape games across the UK, with a successful exit rate in our favour, we opted for the middle “ultimate" option. The scene was set: On New Years Eve in 1999 master magician Alistair Wilson literally disappeared never to be seen again. Our mission was to find out how, where, and why he vanished by searching his London flat (that was due to be demolished in one hour) to uncover his book of secrets. We were each provided with a hard hat and taken to the game area where a news bulletin began to play on the television screen…and so the plot thickened. It has to be said the video was very well executed, being one of the better visual introductions we’ve seen. The room itself was portrayed as a flat but the set didn’t feel particularly homely. More of a study or workspace, but perhaps we’re being pedantic here. There was a plethora of tangible items to investigate without many - if any - red herrings which helped distract from the lack of attention to detail in it’s decor. There were plenty of puzzles offered all at once which at times felt overwhelming. Whilst ordinarily we welcome the ability to separate and come together later to share our finds, we cannot help but feel this particular room would have benefited from being a little more structured. We say this as some of the jaw-dropping, stand-out, and clever additions that were highlights of the entire game were sadly missed by other players due to being distracted elsewhere. If there is a way of re-structuring the room so all players are bottlenecked to witness the more clever illusions by having a sequential flow, it would really set this room apart from other venues offering a similar theme. The Book of Illusions runs the risk of each player having a very different experience to the next, making it not as gratifying if you incidentally happen to carry out the puzzles with the lesser rewarding wow-factors. The bombardment of items also resulted in us juggling a lot of clues at once, which often hit the mark of being stressful rather than pressurised fun. Lots of information pulling or being aware of the resolve but having time-consuming, tedious tasks to complete are not our favourite puzzle styles either, which probably hindered our enjoyment a little here - although we appreciate this is an entirely personal preference. Another niggle was the clue system where text was posted on a screen throughout the game. Whilst helpful in leading us to resolves, we found the clues made too quick of a disappearing act from the screen not giving us ample time to read them. Clues were also delivered solely at the Game Masters discretion, we found this an unbalanced and odd setup, as in every other game we have played we have always had the option to request clues. 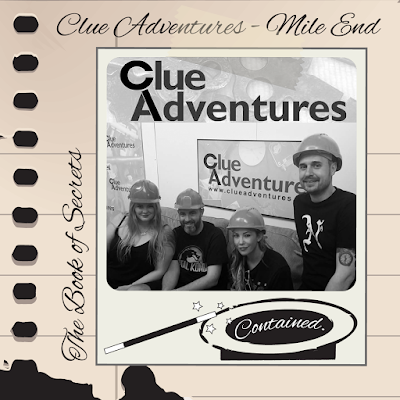 Due to this style of clue system, we seemed to be left floundering with some puzzles for excessive amounts of time and given help quickly to puzzles that we weren’t particularly struggling with. In addition to this, as there are 3 differentiating levels of game play that are heavily dependant on your hosts investment in your game, ability to keep track and reward clues attentively, it makes comparing escape rate times against other teams here near on impossible. This was the first time we had ever been contained with still having lots to do. 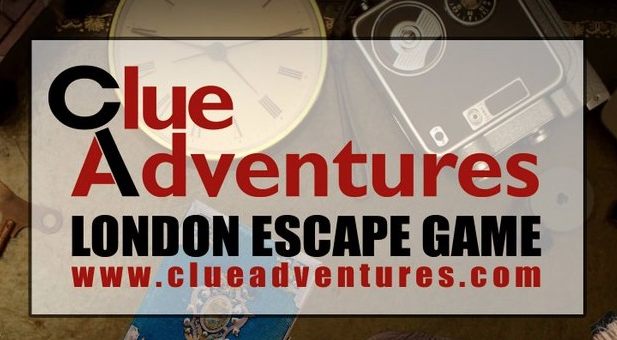 Ultimately we found the room too erratic and it's overload of simultaneous clues with no obvious sequence or narrative to follow verged on frustrating rather than the magical hour we’d hoped. Whilst misdirection is important in the realms of illusion, it doesn’t translate well in the genre of escape games. 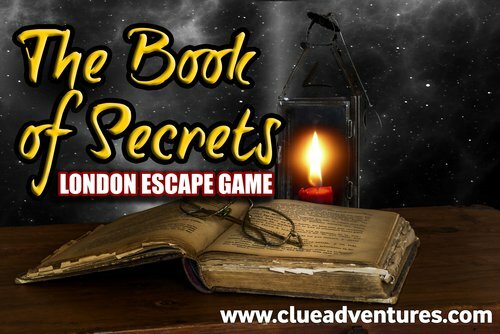 Despite The Book of Secrets not quite managing to pull the rabbit out the hat for us, we still recommend visiting as the illusion based puzzles are impressively mind-boggling and will keep you talking long after you’ve left the venue. Unless you’re a super experienced group we recommend taking the lower level of challenge so you enjoy the game play and better your chances to escape.